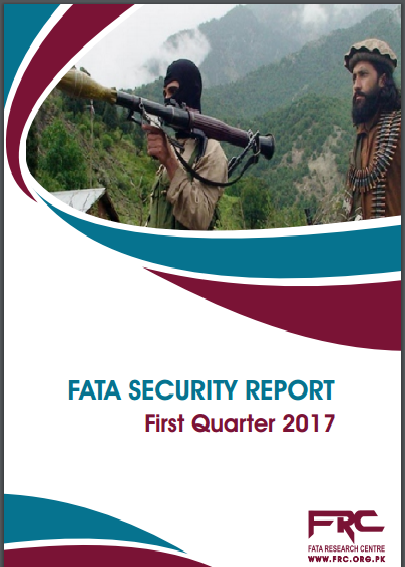 The security situation in FATA remained volatile during the first quarter (January-March) of 2017. Although security forces persistently carried out operations in order to curb the terrorists’ activities, the latter continued their attacks, both against civilians and the security personnel, during this quarter. While the security forces were also targeted by the terrorists, the civilians remained the prime target during first quarter of 2017. On the other hand, security forces relied upon kinetic means to countervail the terrorist attacks perpetrated by terrorist outfits operating in FATA. The ratio of counter terrorism (CT) offensives remained high in comparison to the terrorist attacks during the first quarter of 2017.